Today I am excited to be presenting at the second annual Connectivity Conference hosted by Susan Riley of educationcloset.com. 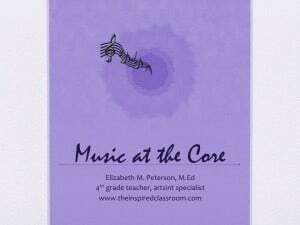 Her site has many wonderful resources for teachers who want to begin or continue integrating the arts into their work. If you haven’t checked them out, please do so! 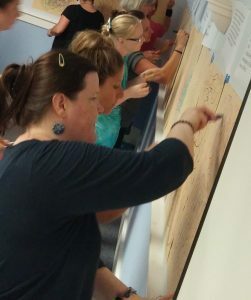 This year’s Arts Integration Connectivity Conference will be centered around how the arts interplay with the Common Core. I will be sharing out resources and links throughout my hour chatting with Connectivity participants and I would like to list some of them here for easy access to all. 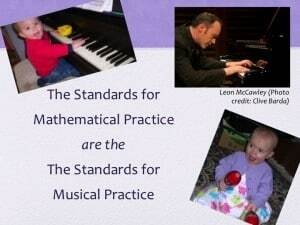 Here is a link to the Common Core Math Standards of Practice. Here is a link to the Common Core Math Anchor Standards (math content). 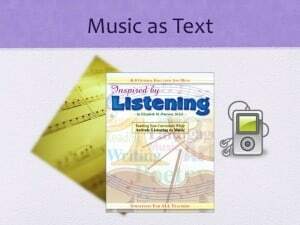 This is the video I will be sharing during my presentation. It is of my class undergoing our project integrating music notation (note values) and fractions: Rhythmic Fractions. Can’t see the video? Here is the LINK to Rhythmic Fractions. Can’t see the video? Here’s the LINK to Math Dances. 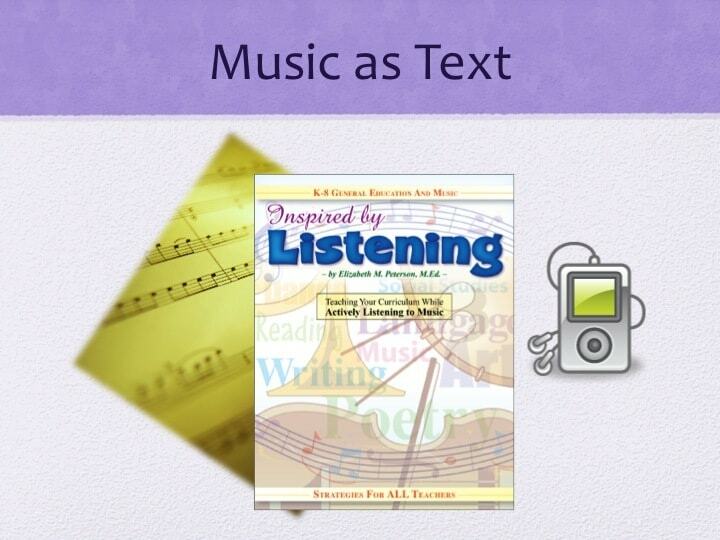 In addition, I would like to mention this post which gives an overview of how you can begin to discuss musical selections (be they Classical, Blues or Rock) with your students using the Clues in Music. 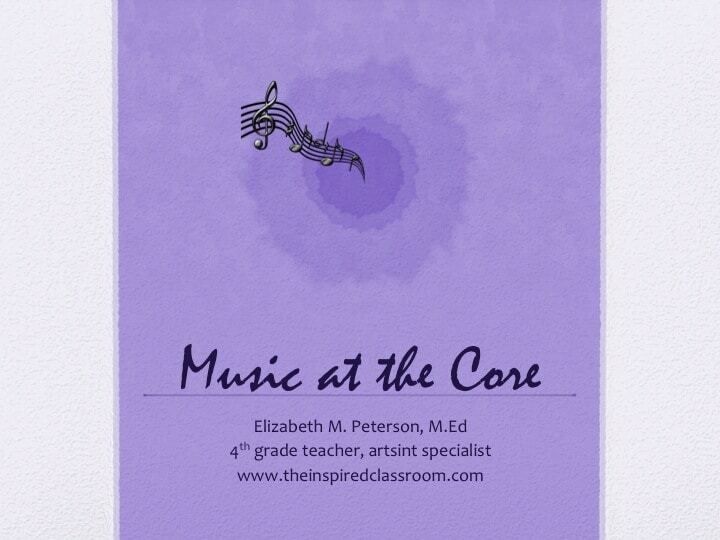 Possibly even better than that, I want to showcase my book that covers all things about listening to music in the classroom: Inspired by Listening is a resource book written for teachers who want to integrate music listening experiences into the work they do with students. I hope you consider checking it out! Finally, we can’t have a true arts integration post or presentation without mention of what true arts integration is. You must stay true to the integrety of both the art form and the content area. 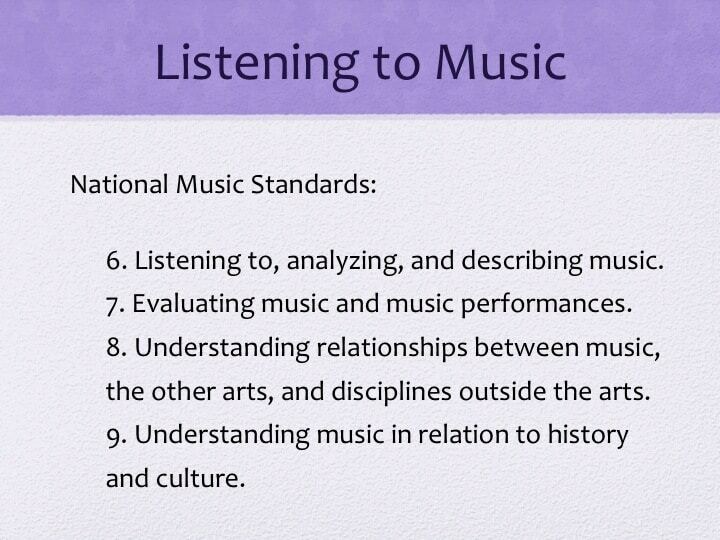 And part of that is by making sure that you address (teach and assess) standards in both. 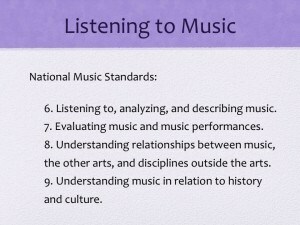 And of course, the National Music Standards. Pictured below are the ones that connect so well to listening to music. 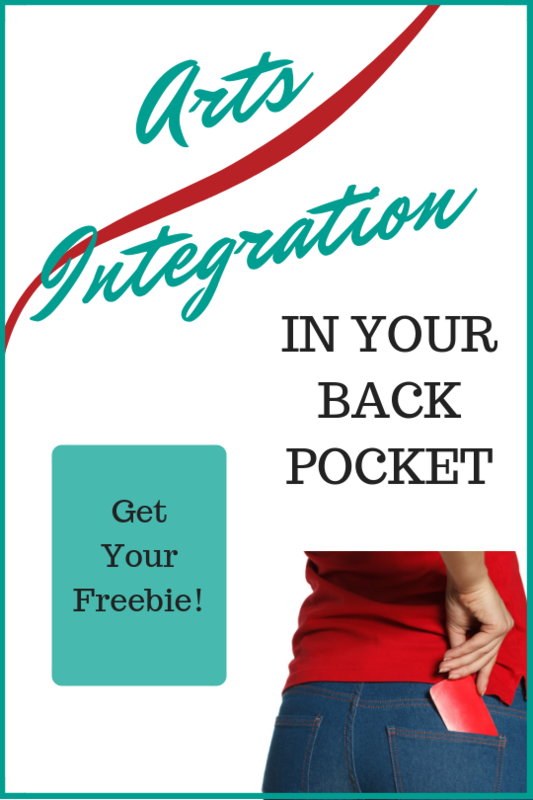 Finally, here is a link to the handout I will be using. I encourage you always keep your mind open to the possibilities that music and the arts have in all that we do. Now – go enjoy some great music!